“What’s going on with John Lasseter?” remains an open question in Hollywood at the moment; the Walt Disney Animation Studios and Pixar CCO—whose work on Toy Story and Pixar’s other CGI charmers has been foundational for American animation over the last 20 years—took a mostly talked-around leave of absence last year during the opening salvos of the #MeToo movement, citing only “missteps” that left some employees feeling “disrespected or uncomfortable.” Now, Lasseter has confirmed that he’s leaving his twin posts at the top of two of the world’s most successful animation studios at the end of the year. This is per The Hollywood Reporter, which notes that Lasseter will move into a “consulting” position through the rest of 2018, before leaving both companies completely. (A Pixar founder, Lasseter also moved to Disney Animation during a major restructuring effort in 2005, where he oversaw critical darlings like The Princess And The Frog and the ridiculously successful Frozen.) 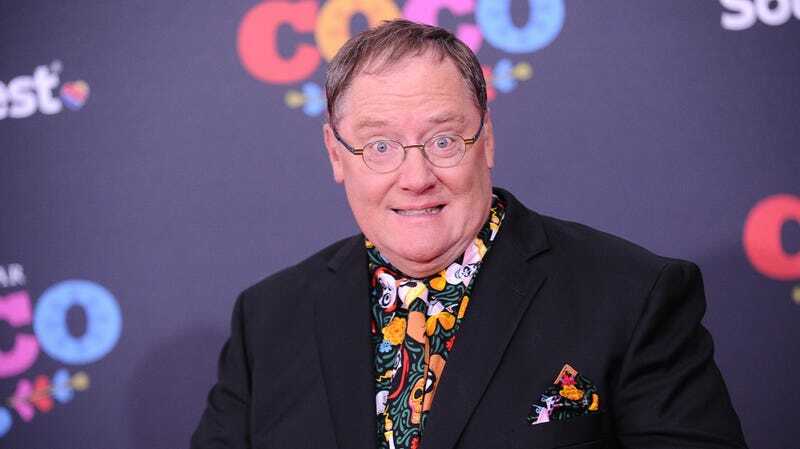 Lasseter’s absence—and Disney’s general silence about it—have been conspicuous of late; he skipped out on the recent Incredibles 2 premiere, for instance, with fellow Pixar star Brad Bird simply saying, “We only know what you know” while praising Lasseter’s contributions to the film.